Vinu focuses on enterprise architecture and strategy advisory. He is a domain expert in Core Banking, Supply Chain and CRM. Vinu is an experienced C-level leader in enterprise architecture and IT strategy. In more than 30 years of global experience Vinu has held increasingly senior technology advisory and C-level roles in large enterprises, including South Africa’s largest transport enterprise and Asia’s largest IT systems integrator. Most recently he was chief enterprise architect at Asia’s largest banks in China and Malaysia. He has trained large numbers of senior architects in TOGAF and CITA for major system integrators, banks and automotive organizations in India, South Africa, the United States and APAC. He is active in The Open Group and is an IASA Global Ambassador and founder of jDruids. 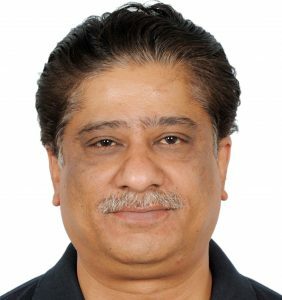 He has been an academic advisory council member for computer & software architecture at universities in United States and India. Vinu holds a Masters Degree in Electrical Engineering from Indian Institute of Science, Bengaluru, and a Bachelors Degree in Electrical Engineering from Bangalore University, Bengaluru. He is TOGAF 9 Certified, CITA and Certified Instructor.